Chou Wen-chung’s most recent recording is entitled Eternal Pine. Produced in 2015, the recording features four chamber pieces, each written for instruments of a different cultural lineage. In East Asian cultures, the ancient pine tree is a familiar symbol of longevity and of perseverance against the adversities of life. Gnarled by the winds and forces of nature, the tree survives throughout the ages, its beauty enhanced by the brutality which it has endured. 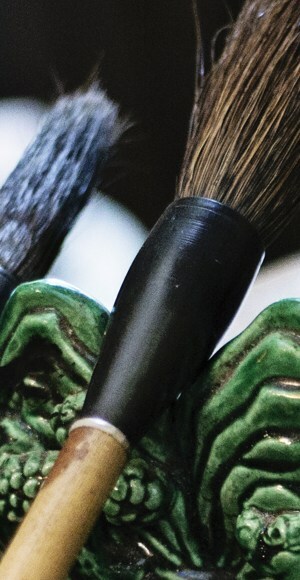 For Chou Wen-chung the image represents the spirit of the Chinese literati scholar, or wenren, whose integrity is unwavering despite persecution and suffering. In looking back over almost 10 decades of the composer’s life, the resilient pine seems emblematic of his own personal story, much of which has been expressed only through his music. Chou’s exploration of an integration of musical concepts and practices led to his ever-evolving theory of Variable Modes (pien) influenced by concepts found in the theories of Yin-yang and the I Ching, Daoism, brush calligraphy and qin (Chinese zither) music, as well as early and modern European theories. 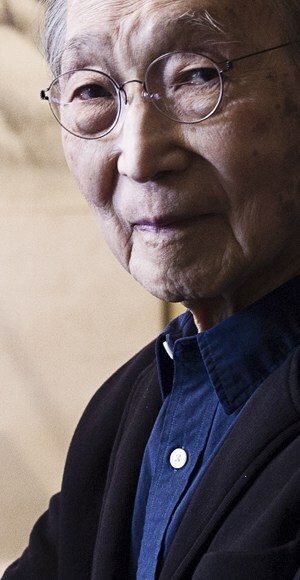 Chou Wen-chung was born in Yantai, China, in 1923, and moved to the United States in 1946. His earliest work, Landscapes, written in 1949, is often cited as the first composition in music history that is independent of either Western or Eastern musical grammar. The piece premiered in 1953 with the San Francisco Symphony, conducted by Leopold Stokowski, and launched the young composer onto a career which steadily gained in momentum over the next two decades. His unique canon of work, a contemporary expression of the principles of traditional Chinese aesthetics, has had a momentous impact on the development of modern music in Asia and in post-colonial cultures. He exhorts young composers to study their own cultural heritage and warns: “If you don’t know where you came from, how do you know where you are going?” His students represent an international mix of accomplished composers, including the acclaimed Tan Dun, Zhou Long, Chen Yi and Bright Sheng. 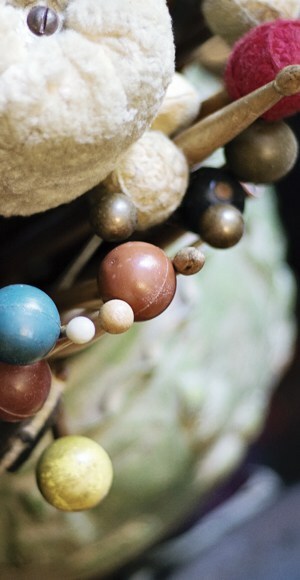 His vision for the music of the future, however, extends far beyond the preservation of any particular heritage. 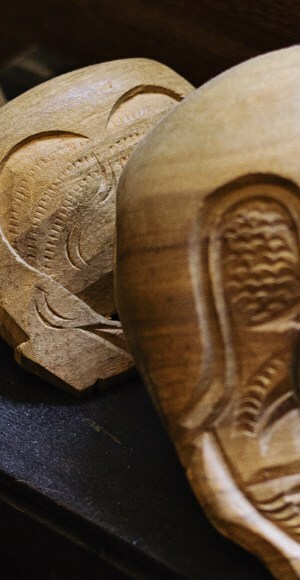 He foresees a flourishing of creative output, benefitting from a “confluence” of many cultures, but grounded in an understanding of the history and traditions of each. Chou Wen-chung. Urbana, Illinois. 1952. Chou’s orchestral compositions such as And the Fallen Petals, All in the Spring Wind and Landscapes have been performed by the Chicago Symphony, Philadelphia Orchestra, New York Philharmonic, Berlin Philharmonic, Orchestra National (Paris), Japan Philharmonic Symphony (Tokyo) and the Central Philharmonic in Beijing. Chamber works including Echoes from the Gorge, Windswept Peaks, Pien, Yü Ko, Yün, Cursive and Beijing in the Mist have been performed in festivals in Tanglewood, Darmstadt, Venice, Hong Kong, Tokyo and Sapporo. Two retrospective concerts of Chou’s music were held in New York in 1989 and 1993, featuring three prominent East Coast ensembles: Boston Musica Viva, New Music Consort and Speculum Musicae. In 1992, Concerto for Violoncello and Orchestra premiered at Carnegie Hall with cellist Janos Starker and in 1996, his String Quartet No. 1 “Clouds” was premiered at Lincoln Center by the Brentano String Quartet. His Eternal Pine series was written between 2008 and 2013. Chou’s accomplishments have been recognized with countless awards in the fields of music, education and international cultural exchange. He is a life member of the Academy of Arts and Letters and in 2001 was named Officer of the Ordre des Arts et des Lettres (Order of Arts and Letters) from the Ministry of Culture in France. Chou’s music manuscripts have been acquired by the Paul Sacher Foundation in Basel, Switzerland. The Paul Sacher Archive and Research Center for the Music of the Twentieth and Twenty-First Centuries houses the music materials of some hundred distinguished international composer and musicians, including Igor Stravinsky, Anton Webern, Elliott Carter, Pierre Boulez and Edgard Varèse. His personal 70-year collection of research publications has been donated to the Xinghai Conservatory of Music in Guangzhou. In November 2018 the Conservatory established the Chou Wen-chung Music Research Center to house this prestigious collection of books. The collection will be accessible to scholars for research and used as a platform for international conferences and other research-related programs. Chou Wen-chung (far right), mother and siblings in China, 1930s. Chou Wen-chung’s life has straddled the cultures of East and West from the time of his birth in 1923 in the northeastern province of Shandong. Raised in a family steeped in the wenren or literati tradition, he grew up in a post-imperial China, run by warlords as much as by the new government. During the first 15 years of his life, his family moved to Qingdao, Wuhan, Nanjing and finally Shanghai. China’s cities were colonized by foreign concessions where Chou had regular exposure to European food, culture, literature and music. He studied a violin repertoire of solely western works, and learned Chinese calligraphy, poetry and cultural values under the guidance of his father. The ancestral home of the Chou family is in Changzhou in Jiangsu province. His grandfather Chou Xueqiao (1870-1910) was a scholar who had been educated to take part in the daunting imperial examinations but withdrew because he refused to work for the Qing Dynasty government. Like many intellectuals of his time, he blamed the Manzhou rulers for China’s decline and looked to western learning as the only way to bring a beleaguered and humiliated nation into the modern world. To this end, he worked to introduce western medical practices into the field of Chinese medicine, and also published a large number of western literary classics translated into Chinese by the scholar Lin Shu. Chou Wen-chung’s father, Chou Zhongjie (1891-1987) had participated in the 1911 Revolution in Shanghai. In 1986, on the 75th anniversary of the coup, he was honored by the government as one of two survivors of that historical movement. His father worked initially as a school teacher and principal. Later he took a government position and was put in charge of customs and railroad management. In 1937, when the capital city of Nanjing was invaded by Japanese forces, he was assigned the massive logistic maneuver of relocating the entire government infrastructure to the wartime capital of Chongqing in Sichuan Province. 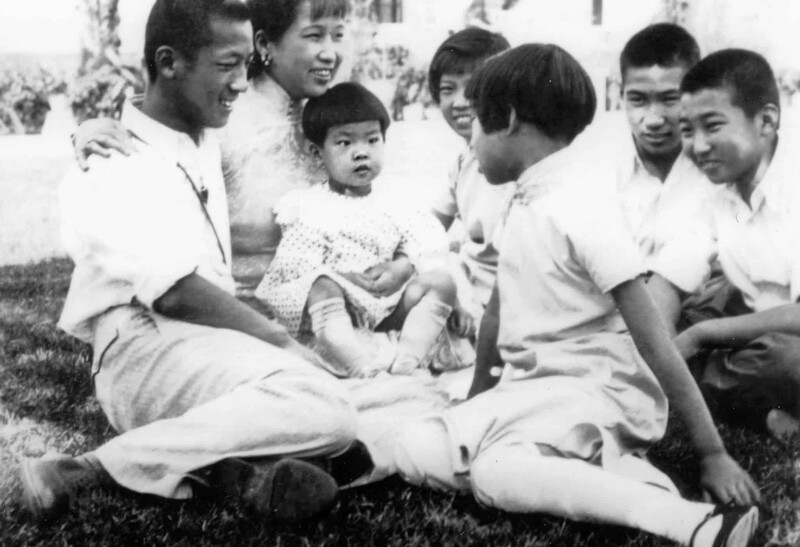 Chou’s father played an important role in his early education despite his high-level professional responsibilities. The third of seven children, Chou was born with a serious heart condition and was frequently bedridden throughout childhood, twice nearing the edge of death. His parents decided to keep him out of school until the age of eleven. 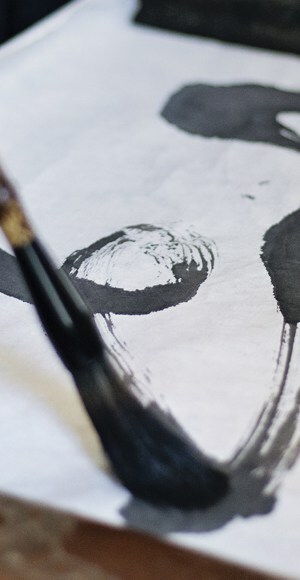 His father supervised his education at home by giving daily assignments in calligraphy and poetry. During the day young Wen-chung would sneak into his father’s off-limits library. Here he discovered many exciting Chinese novels and Chinese translations of western fairy tales and classics which sparked his imagination and interest in cultural differences. His passion for music began as a hobby; he taught himself violin, mandolin and harmonica before beginning formal violin lessons at the Shanghai Music School when he was 15. The Japanese occupation changed daily life into a storm of angst and terror, forcing the family to move from Nanjing to the French Concession in Shanghai. In 1941, while Chou was studying architecture at St. John’s University, the Japanese army entered Shanghai. Barely 18, he was at risk of being recruited by the enemy troops and his family convinced him to flee to unoccupied territory. He spent the next four years on his own, separated from his family and constantly on the run across hundreds of miles, violin in hand. He finally reached Chongqing where he managed to enter the university and obtain a degree in civil engineering shortly before the war ended. He was reunited with his family in Shanghai, but the horrors he had witnessed during the war haunted him for the rest of his life. Chou arrived in the U.S. with a degree in civil engineering and a plan to study architecture at Yale University. His patriotic mission at the time was to contribute to the reconstruction of his war-demolished country. Upon arriving at the Yale campus in the fall of 1946, consumed by an onslaught of soul-searching regret, he decided to defy his family’s wishes and decline the scholarship. Emboldened by the spirit of courage and resilience which he had earned during the war, he decided to accept the call of his true aspiration. 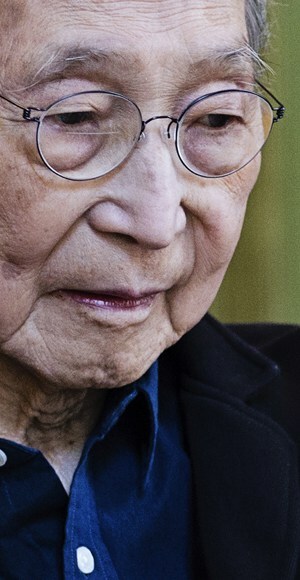 Chou Wen-chung was convinced that it was through the power of music and the arts that he could effect the most profound influence on a shattered Chinese society. That semester, Chou entered the New England Conservatory of Music in Boston where he studied under Russian-born American composer Nicholas Slonimsky. 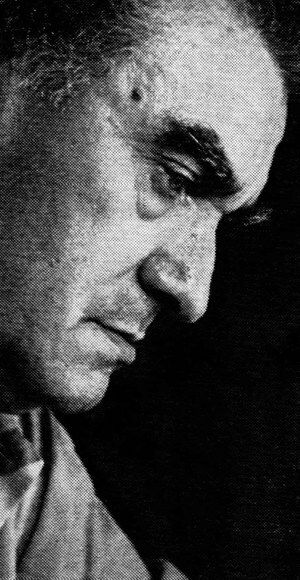 In a music history class taught by the Boston Herald critic Warren Storey Smith, he heard the music of Edgard Varèse for the first time, later writing that it sounded to him like “pigs being slaughtered.” The idea of studying with Varèse in the future was beyond his imagination at the time. In 1949 Chou moved to New York to live with his brother. It was an exciting time and place for a young composer. New York deemed itself to be the new cultural center of the world, a status held by Paris before the city suffered the devastation of the war. The influx to New York of leading artists and musicians fleeing Nazi persecution in Europe also enriched the city, transforming it into an international vortex of intellectual thought and creative energy never seen before. Chou’s first goal was to find a composition teacher. By chance he met Colin McPhee, a former student of Edgard Varèse, who recommended his own mentor. McPhee agreed to make the introduction, with a quiet warning about the Frenchman’s notoriously explosive personality. Chou soon paid a visit to the composer’s home in Greenwich Village and, with some trepidation, submitted his recently penned manuscript of Landscapes. 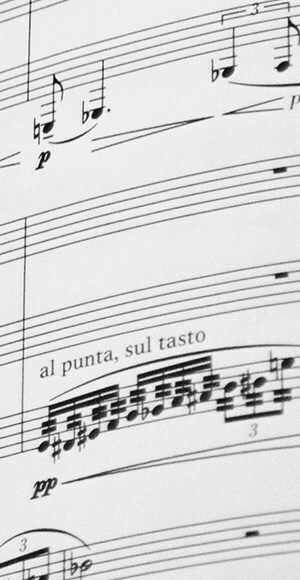 To the young composer’s surprise, Varèse praised the piece and told Chou to return the following week to begin instruction. Varèse refused payment for his lessons, and Chou reciprocated in kind by serving as the composers’ copyist and assistant. During those years Varèse was composing his last works, including Déserts (1949-1954), the manuscript of which is, in fact, in Chou’s handwriting. The young composer also handled the logistics of Varèse’s professional activities which included preparing the scores for his Greater New York Chorus. Varèse frequently invited him to attend performances at night and would sternly interrogate his student all the way home about what he had learned. The relationship gradually evolved into a collegial friendship of mutual respect. 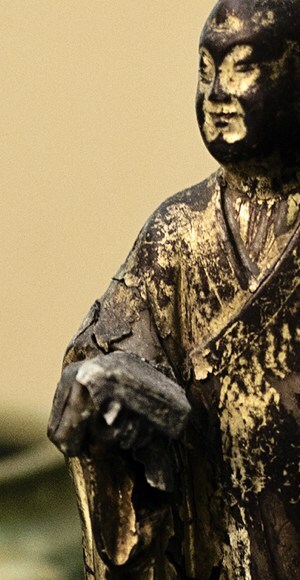 Varèse was 56 years old when he accepted Chou, then 26, as his student, and eight years older than Chou’s own father. Chou Wen-chung’s innovative style of composition shows no influence of Varèse’s own inimitable creations. Any trace of perceived imitation would have been anathema to his master and condemned as a failure of the imagination. His teaching approach stressed the development of his student’s thinking process and overall artistic expansion. The ultimate goal was to nurture the journey toward the discovery and expression of one’s own musical voice. Through the example of daily life, Varèse taught Chou the equally important lessons of the responsibility of an artist and the imperative of integrity. For 15 years, Chou had direct exposure to the daily life and working style of a wildly creative visionary. He was also privy to the opinions expressed by some of the leading minds of the contemporary arts world. Varèse’s home was a frequent gathering place for the likes of visual artists Marcel Duchamp, Fernand Léger, Jean Cocteau and architect Le Corbusier. European composers and conductors visiting New York considered Varèse’s home to be an essential destination and Chou, usually busy at work copying scores, was always invited to join in the conversation. Few emerging artists enjoyed such access to a window on the international contemporary arts world, in its human manifestation. 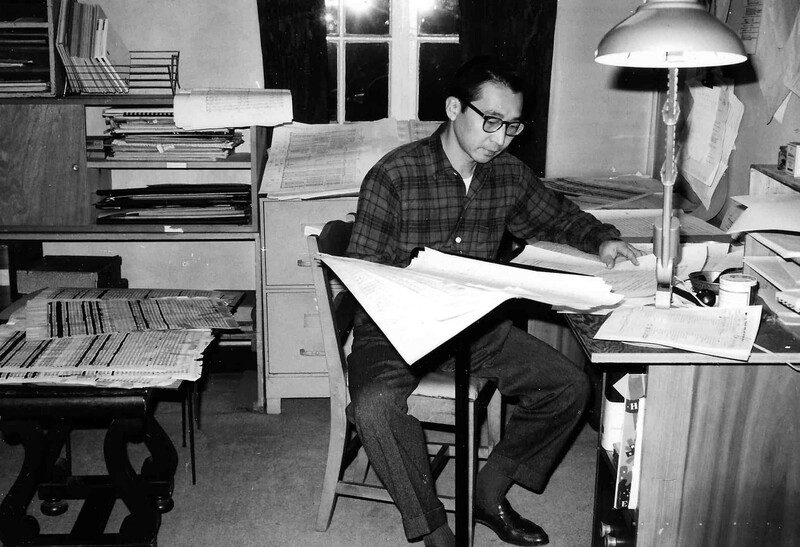 While studying with and working for Varèse, in 1954 Chou completed his master’s degree at Columbia University where he studied under Otto Luening and Henry Paul Lang. His orchestral piece All in the Spring Wind was submitted in lieu of a master’s thesis. Throughout this period he composed prolifically and supported himself by teaching at local colleges. Following Varèse’s death in 1965, Chou became his literary executor and edited and completed several of his works. In 1997-1998 he collaborated with Riccardo Chailly and the Concertgebouw Orchestra on Varèse, The Complete Works which was released by Decca Records. The recording received the 1999 Gramophone Award for the Best 20th Century Orchestral Release. In 2003, Chou transferred Varèse’s manuscripts and materials to the Paul Sacher Archive and Research Center in Basel, Switzerland. 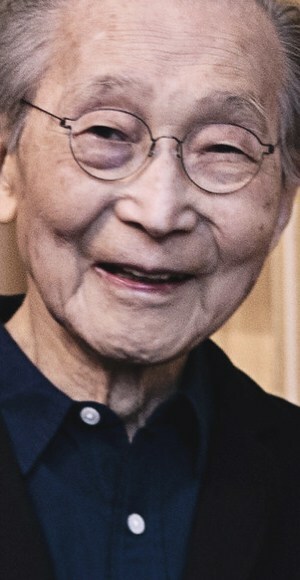 Chou Wen-chung joined the Columbia University faculty in 1964 and taught an increasingly international student body until his retirement in 1991. He created the university’s first doctoral program in composition in 1965. 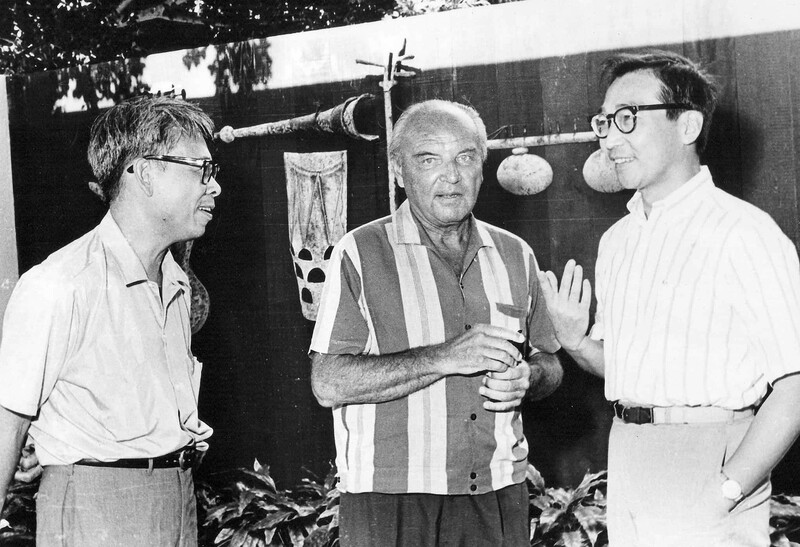 He also made a significant contribution in the realm of arts education in both the U.S. and China through his determination to widen the cultural and geographical scope of courses taught in the curriculum. In 1969 he taught Columbia’s first course on “Chinese Music” and later developed the course “Asian Humanities in Music.” In 1984 he was named the first Fritz Reiner Professor of Musical Composition at Columbia University. Dedicated to the Chinese wenren spirit of service to one’s cultural community, Chou has contributed a great deal of time to supporting the growth of professionals and institutions. 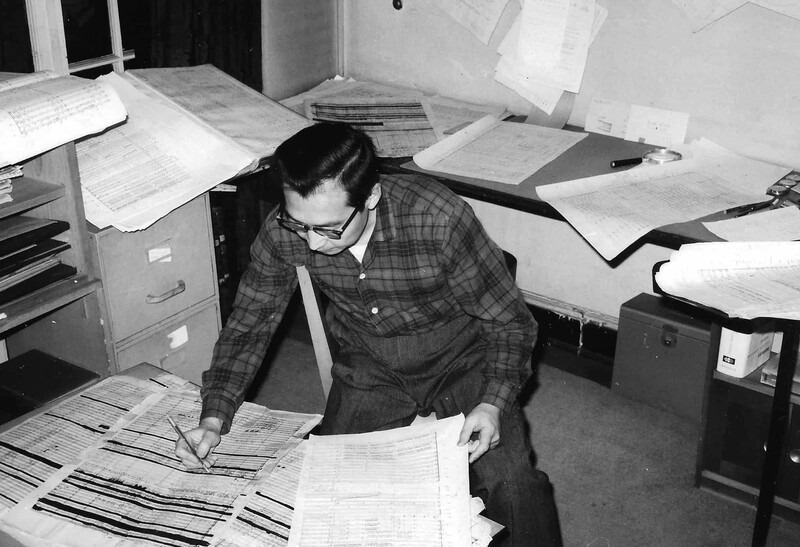 He revitalized Columbia University’s Electronic Music Center and served as the President of Composer’s Recordings, Inc. from 1970-1975, making those years the most financially solvent in CRI history. For many years he served as music chairman of the New York State Council for the Arts. He also organized many concerts and public events in honor of contemporary composers such as Edgard Varèse, Vladimir Ussachevsky, Otto Luening and Toru Takemitsu. 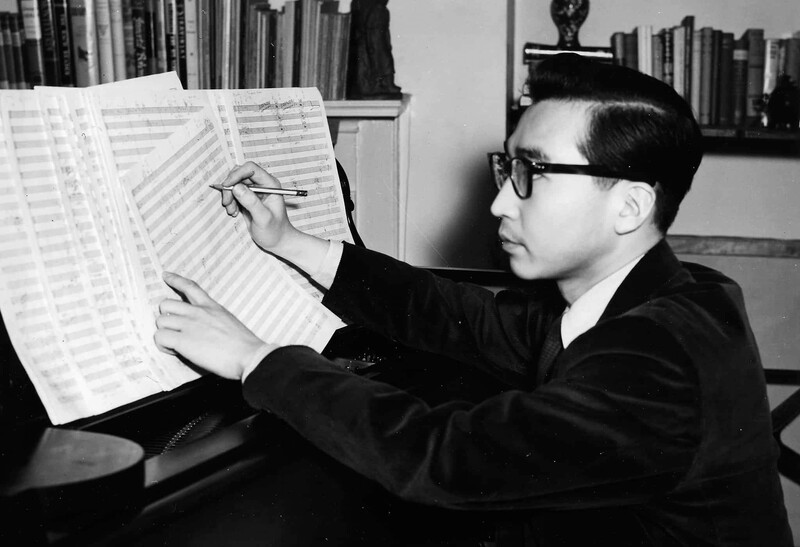 Inspired by the writings of the eminent musicologist Yang Yinliu, Chou began to cultivate connections with other Asian composers and scholars in the 1950’s. Among the many whom he befriended and mobilized were composers José Maceda, Toshiro Mayuzumi, Toru Takemitsu, Isang Yun, Joji Yuasa and Korean musicologist Lee Hye-ku. 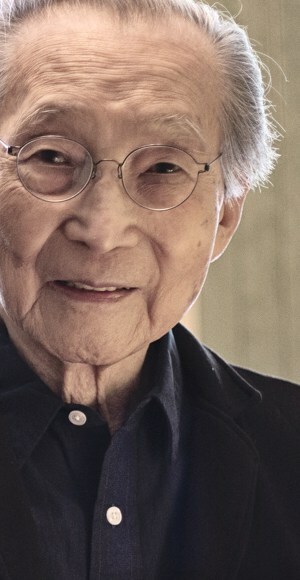 Chou is an honorary life member of the Asian Composers’ League. In the 1970’s he began to cross the boundaries separating artistic disciplines and collaborated with Chinese artists in New York including the kinetic sculptural artist Tsai Wen-ying and modern dance artist Chiang Ching. In 1974, Chiang Ching choreographed a work inspired by Chou’s piano solo, The Willows are New. She later created a work based on the chamber concerto Pien which premiered at Lincoln Center. 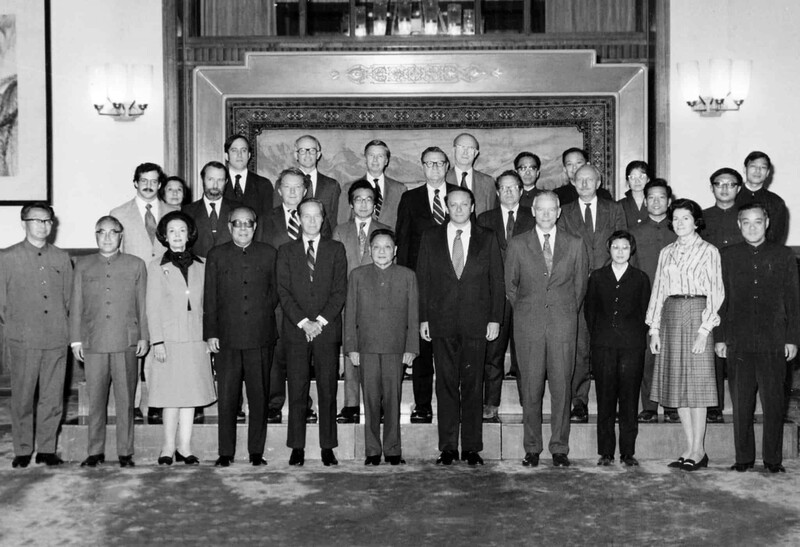 When Chou Wen-chung began visiting East and Southeast Asia in the 1960’s, he became aware of the need for the United States to undertake projects of cultural exchange with those regions. 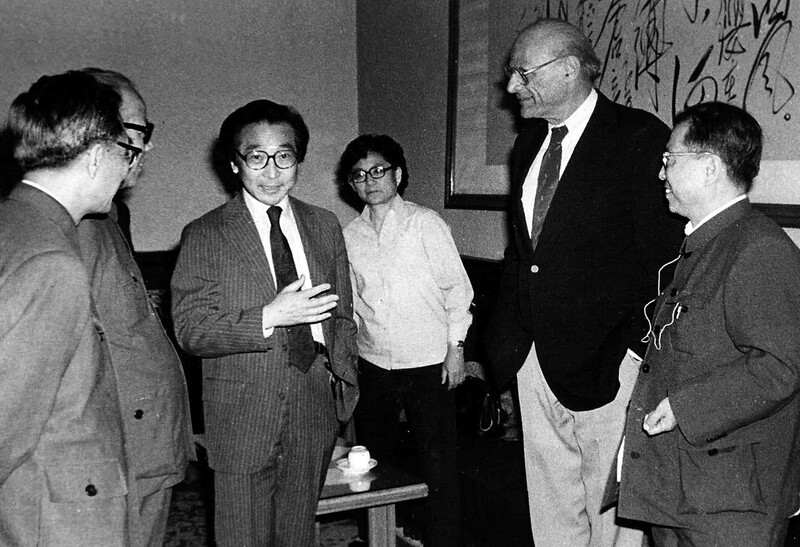 In 1978 he established the Center for United States-China Arts Exchange at Columbia University and became a pioneer in reconnecting cultural ties which had been severed for 30 years. 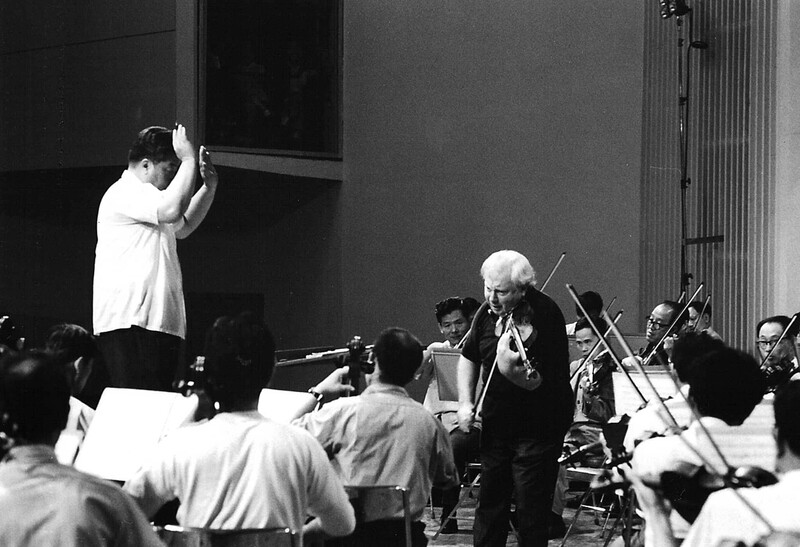 The Center’s first project was to organize violinist Isaac Stern’s visit to China in 1979 and to assist in the filming of the Oscar-winning documentary From Mao to Mozart. The next year the Center arranged for playwright Arthur Miller to direct the first Chinese-language production of Death of a Salesman with the People’s Art Theater in Beijing. 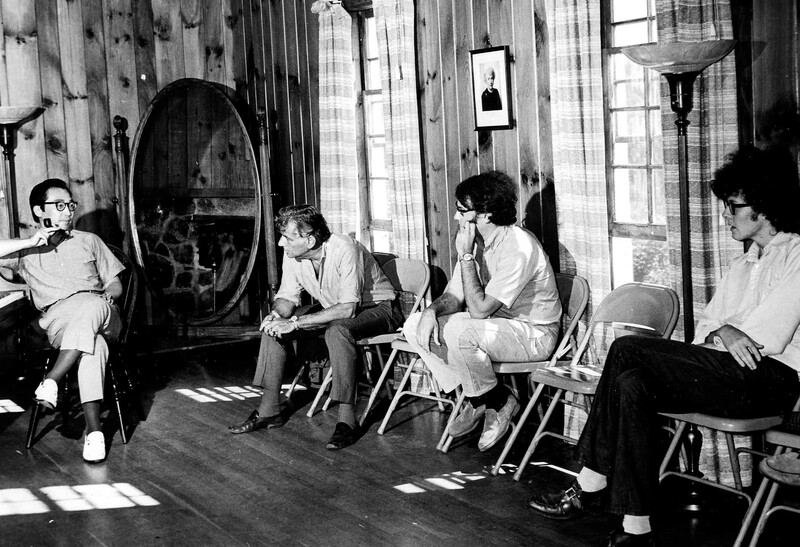 Over a span of four decades the Center conducted ground-breaking projects in diverse cultural fields. Among these were Jacques d’Amboise’s “China Dig,” an exchange program of the National Dance Institute directed by Jacques d’Amboise, New York’s legendary “Pied Piper of Dance” and named by UNESCO as the 1986 Event of the Year; the 1990 Pacific Music Festival in Sapporo, Japan, in collaboration with Leonard Bernstein and the London Symphony Orchestra; and a decade-long arts education program funded by the Rockefeller Brothers Fund in the 1980’s in collaboration with educational psychologist Howard Gardner and Project Zero at Harvard University. The Center gradually evolved into an organization that geographically extended beyond its original scope and leaned increasingly toward projects that encompassed broader cultural significance. During the 1990’s, with encouragement and funding from the Ford Foundation, the Center initiated a multi-year, multi-faceted project in China’s Yunnan Province for the continuation and development of the arts of its 25 indigenous cultures. One project was the founding of an indigenous art school that offers courses in dance and the visual arts taught by local masters of those art forms. A large-scale Leadership Conference on Conservancy and Development was held in 1999 with the aim of integrating culture and nature conservancy with economic and social development. Chou lives in Greenwich Village, in the former home of Edgard and Louise Varèse which he bought 50 years ago. In this landmark of cultural history, Chou and his late wife Yi-an Chang, a distinguished floral designer and former concert pianist, raised their two sons Luyen and Sumin. They have three grandchildren. A sense of history emanates from every corner. As in the cultural heyday of the 1920’s and 30’s when Edgard Varèse held court for celebrated artists of the avant-garde, Chou Wen-chung’s home continues to be a gathering place for distinguished musicians and scholars, although today from a wider geographical region. The spirit of conversation is still fueled by a respect for art and culture and a drive to innovate and move forward. And Chou Wen-chung, the consummate wenren and Eternal Pine, continues to sway in the wind.